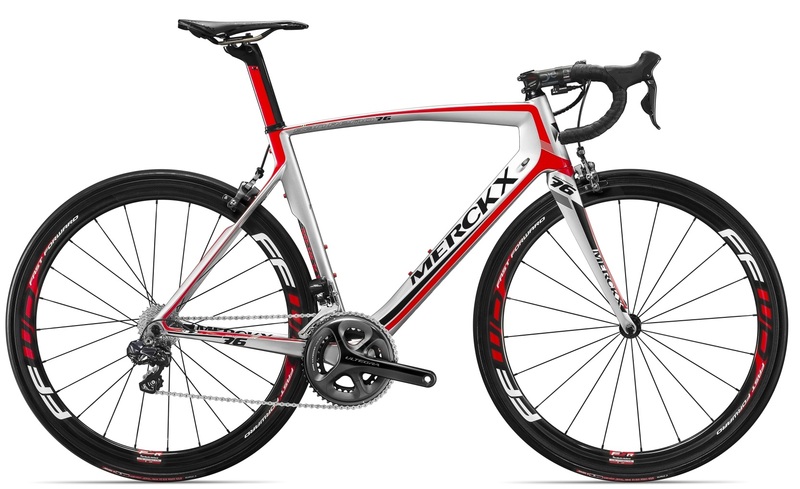 Eddy Merckx 2015 Complete Bikes are here! Why this is the best balanced bike in the world. The 525 is made entirely of carbon fibre and as were the other Eddy Merckx carbon frames it has been reinforced with Optimised Structural Reinforcement (OSR). The first thing that strikes you is the futuristic appearance of the frame: the tubes are not round but they are not square either. They make curves and angles that have rarely been seen in competitive cycling before. That extreme design also resulted in the Aerofork II – the fork at the front that is partly integrated into the frame – which is even more pronounced. The 525 has also been given a solid head for even more sturdiness and an asymmetrical rear for the ideal distribution of forces. The frame of the EMX-525 has been designed especially and exclusively for electronic gear shifts. With that decision, Eddy Merckx Cycles has made a resolute decision for the future and for optimal performance in terms of both changing gears and the frame. The aggressive back to the future look, extreme aerodynamics and the decisive choice for electronic shifting make the EMX-525 a full-blooded racing horse. A horse that can be seen on the tracks starting next season. 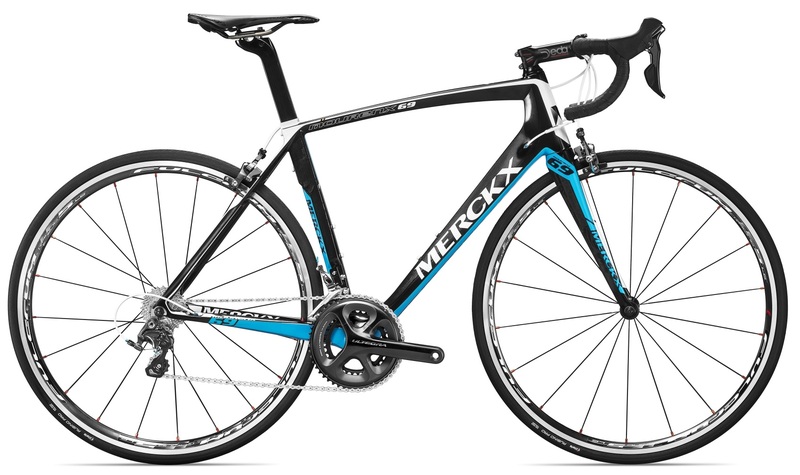 The Top sport Flanders / Mercator Pro Cycling Team will be riding the new EMX-525 bike then. The EMX-525 is named after the total number of victories Eddy had during the course of his race career. Both ultra stiff and light, it uses a combination of shape design and a unique carbon fiber mix that barely distorts or twists at all. It means that virtually all of a rider’s power is converted into rapid forward motion, and there is little or no wastage. 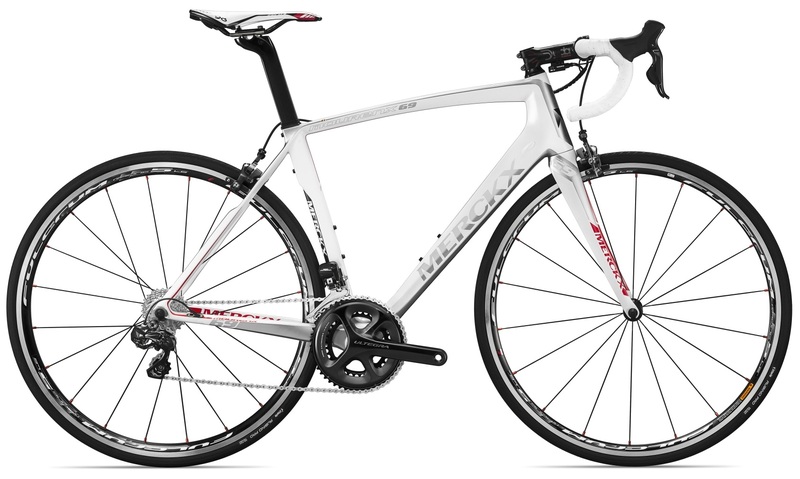 The San Remo 76 is a fantastic bike that continues the passion and quality that so deserves. The 2015 version comes with full Shimano Ultegra groupset, which is utterly smooth, fast, precise and dependable, complimenting the innovation and futuristic feel of the carbon technology. Mourenx 69 bikes are superbly constructed and tested, and for this reason they offer a lifetime warraty of the frame and forks. 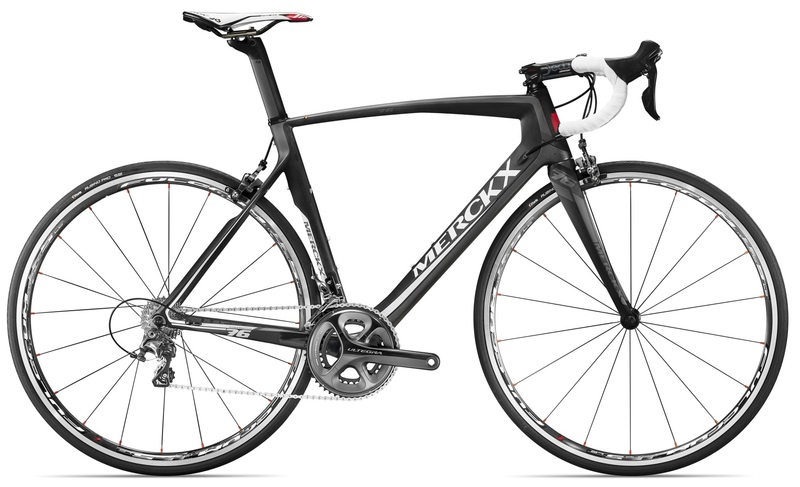 As well as this their range are UCI legal so you can take your beautiful new Mourrenx bike racing. The EMX-1 is the perfect race bike to discover carbon. If you have been riding high end aluminium frames or just fancy making the step up to carbon, step up to the EMX. 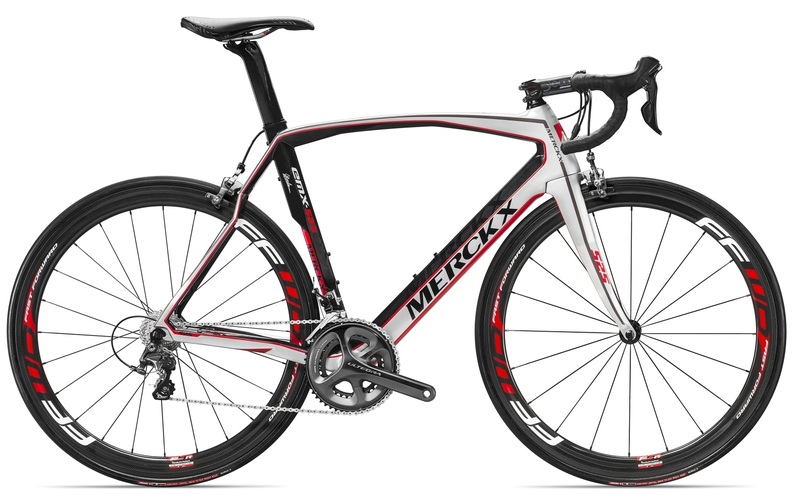 Not just any old carbon, but some of the best in the business, Merckx cycles. The frameset is stiff and light with an ideal geometry for longer rides that is defined by comfort. It is the ideal way into the Merckx brand, their legendary innovation and race proven success. It is a bike for all seasons, all events including racing as it is UCI race weight legal, in keeping with other bikes in the range. The EMX-1 is well equipped with Shimano 105 for those on a budget yet lacks no of the riding performance or quality of the EMX-5 or the new bikes in the range, the San Remo 76 and Mourenx 69. In-house sourcing and careful material selection are vital to deliver the best high-end race bikes. Eddy Merckx Cycles introduced CL+- and OSR-technologies derived from a deep understanding of different fibre properties and based upon very specific material selection. The Carbon Laminate + process developed by and for Eddy Merckx Cycles, assemble the carbon fibre sheets together in ways that maximize the strength and rigidity of the frame. Optimized performance, comfort and weight. The EMX-1 2015. A superb value for money bike that will keep your passion burning long through the winter and into the long summer days.